The "Crisis of Confidence" series is a multi-year effort by the Tri States Public Radio to document the impact the two-year state budget impasse had on Western Illinois University and the ongoing recovery efforts at WIU. State support for public higher education institutions has been steadily declining in Illinois for more than a decade. But the issue was compounded, during the state's historic two-year budget impasse during Fiscal Years '16 and '17 which left public colleges and universities with little state financial support. At Western Illinois University, that drastic cut in state approprations resulted in significant budget cuts, employee furloughs, and layoffs. The Western Illinois University Board of Trustees held closed door meetings with the administration on June 1, 2018 and June 7, 2018. Many of the issues discussed during those meetings should have been talked about in public, as per the Illinois Open Meetings Act (OMA). New Illinois Governor J.B. Pritzker has said he will prioritize funding for the state's colleges and universities. Nonetheless, the Western Illinois University administration has said more deep budget cuts might be necessary. 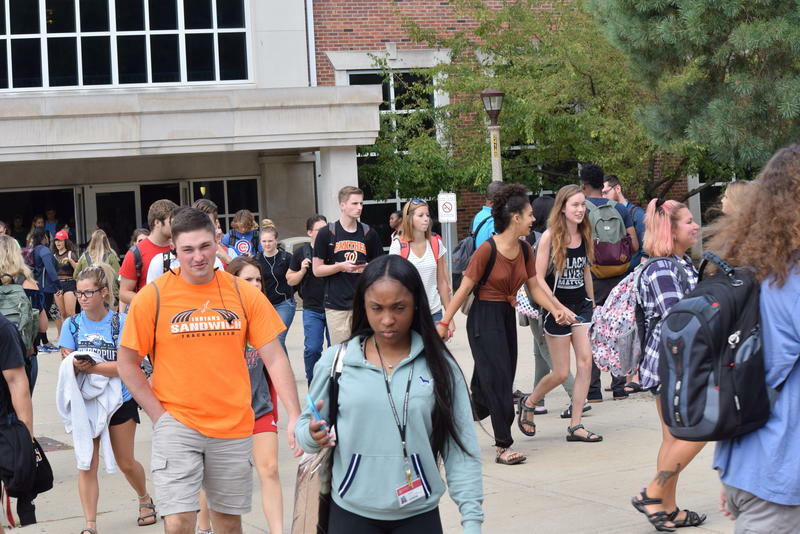 Western Illinois University's Fact Book shows the school's workforce decreased around 12% in the past four years – from 2,403 employees in the fall of 2015 to 2,113 this fall. The decrease can be attributed to layoffs, resignations, attrition, and early retirement programs. Tri States Public Radio spoke with three WIU employees who received layoff notices to learn how they're doing now. Western Illinois University President Jack Thomas has delayed an announcement on budget cuts. But he is warning that deep cuts are still necessary. Two more members of the Western Illinois University Board of Trustees say they will be leaving the board. The Western Illinois University Board of Trustees (BoT) has lost another member, and it appears as though his resignation is nearly two years late. Western Illinois University's Faculty Senate is asking the university's Board of Trustees (BoT) to make public numereous closed door meeting minutes and audio recordings. The request comes after the BoT was found to have violated the Illinois Open Meetings Act (OMA). In an email and web post titled "Budget Update," Western Illinois University President Jack Thomas announced on Thursday that the university is in a structural budget deficit and expenditures are outpacing revenues. Dr. Thomas said that as a result, WIU plans to cut $5 million from this year’s budget and a total of $21 million from the budget for Fiscal Year 2020, which begins July 1, 2019. Western Illinois University is considering whether to eliminate more academic programs as it continues to grapple with falling student enrollment numbers and looks to get back on solid financial footing. Tri States Public Radio filed a Freedom of Information Act request with Western Illinois University, hoping to gain more insight about how the administration came to the decision to zero-out appropriated funding for TSPR beginning March 1, 2019.